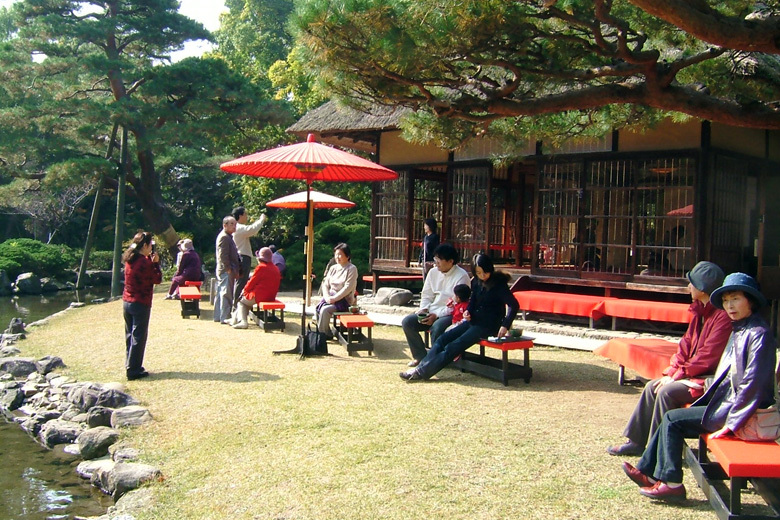 Full of Charm in Aizu! 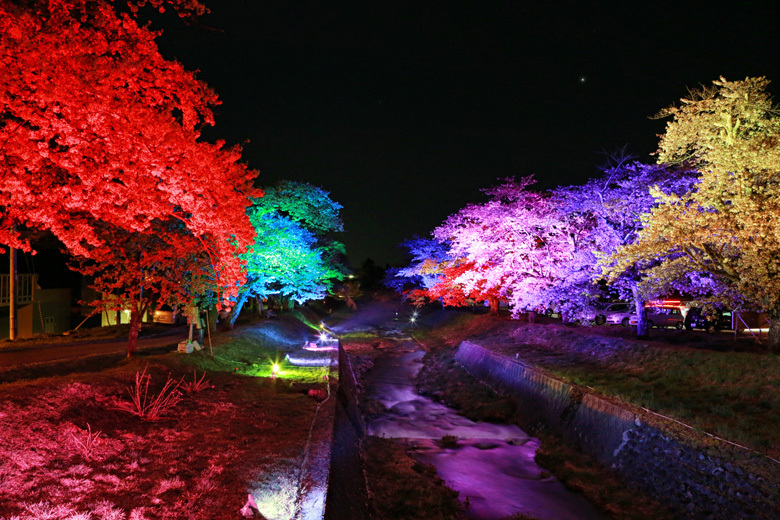 I'll show you the events of four seasons in Aizu area! 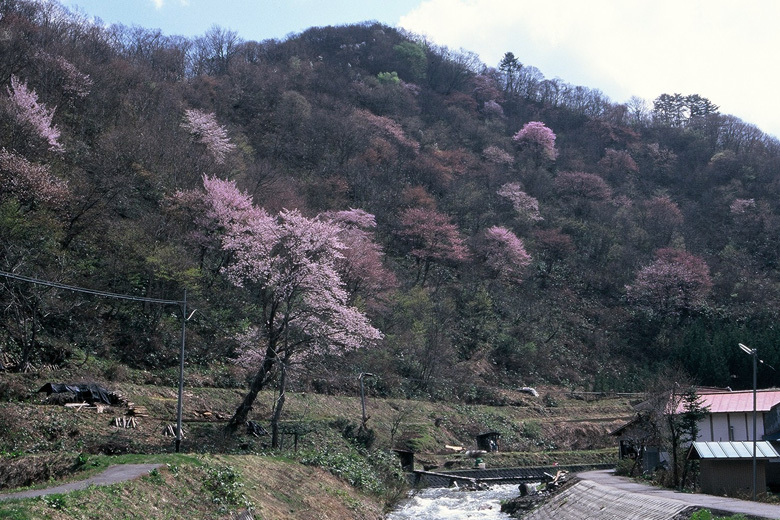 Enjoy the wild cherry-blossom trees that turn the mountains pink while eating soba and mochi rice cakes. 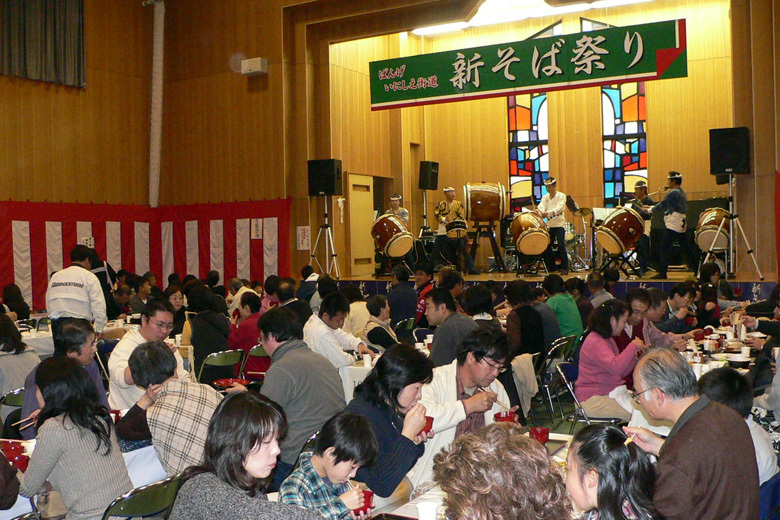 A traditional event in Aizu. Three dancers dressed as lions dance an old-fashioned dance in time with flute and drum, performing in various areas around the city. 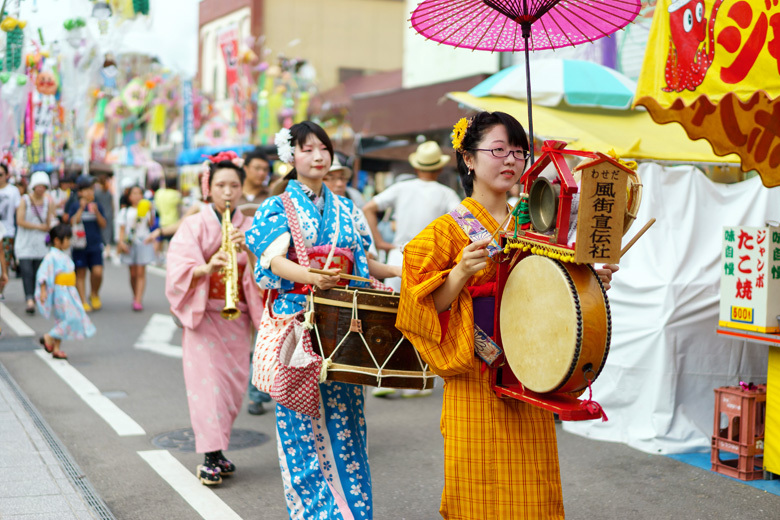 A children’s mikoshi (portable shrine) parade, light up event, plant market, and tea ceremony will be held. 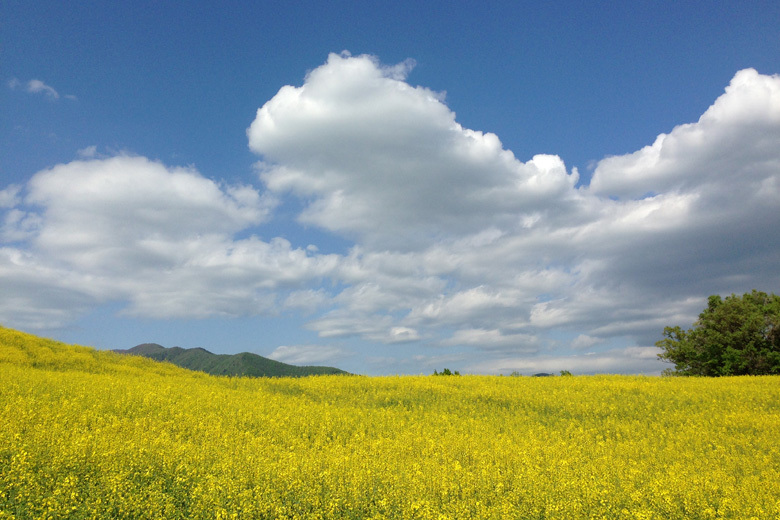 Fields of Rapeseed flowers are spread throughout the area. There is also a Rapeseed maze, and a local goods corner. 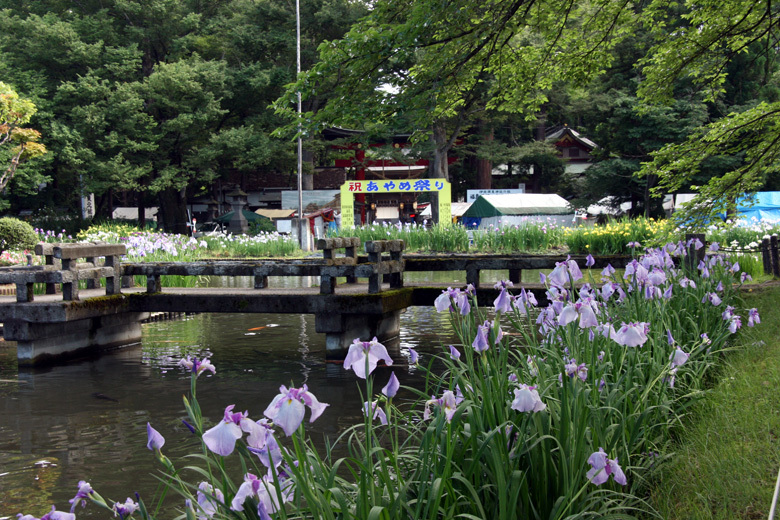 The Katakuri lilies that bloom on the mountains of the huge park (4 hectares) are a sight to be seen. 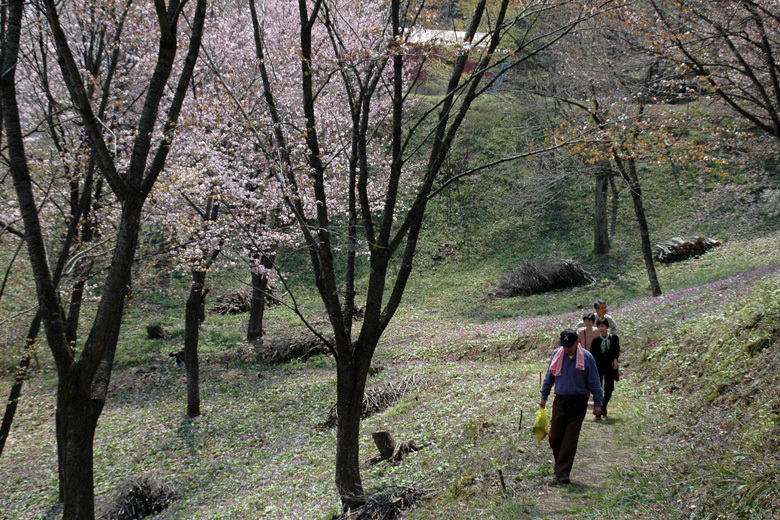 Wild sakura trees can also be enjoyed at the right time. Explore thousands of Skunk Cabbages spread throughout the birch tree forest. 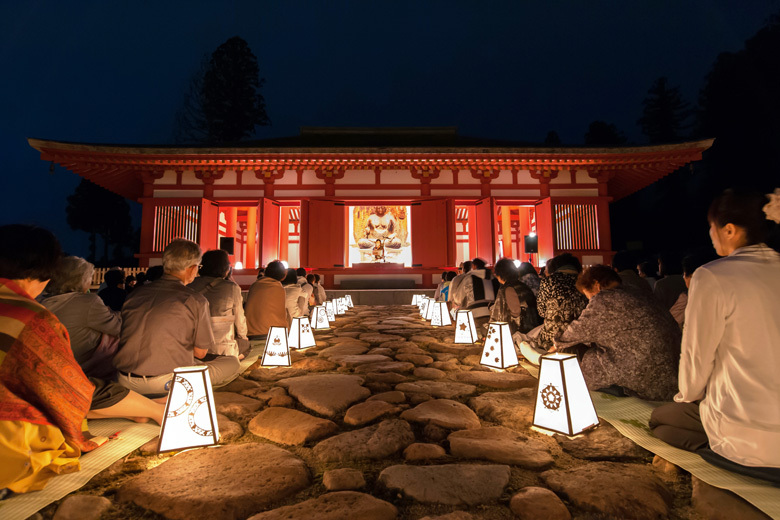 The spring festival of Torioi Kannon Temple, one of the top three kannon temples in Aizu. 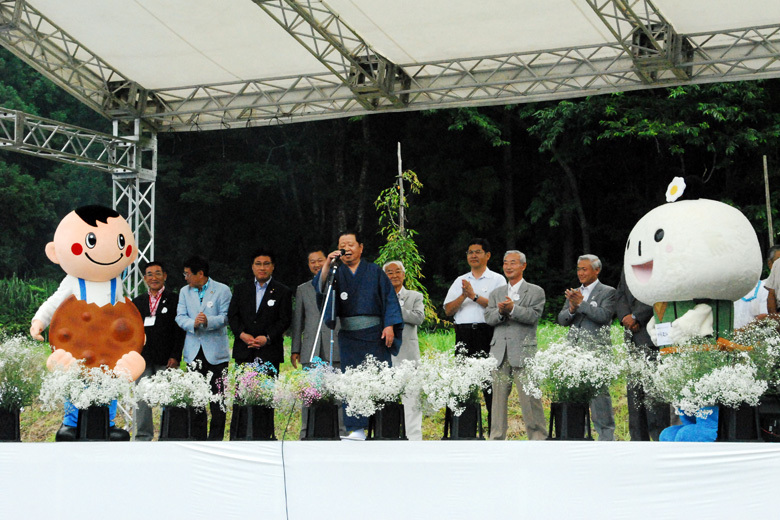 During the festival, the shrine’s principal deity statue will be on display. 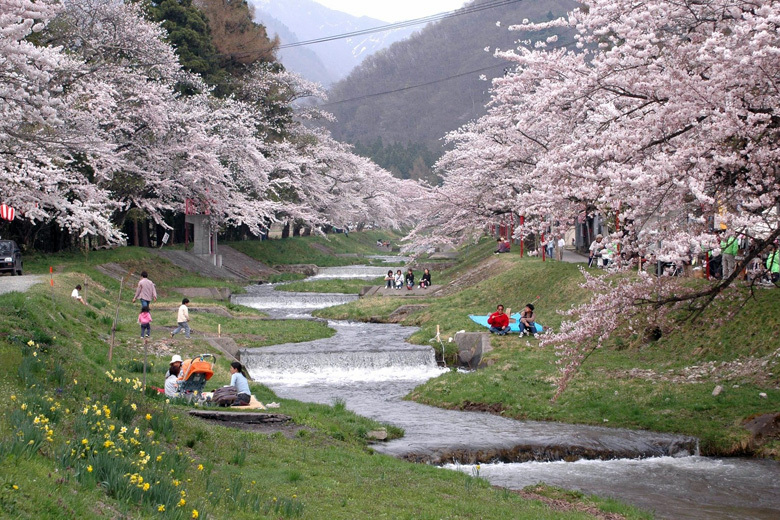 The spot for cherry-blossom viewing in Inawashiro-machi. 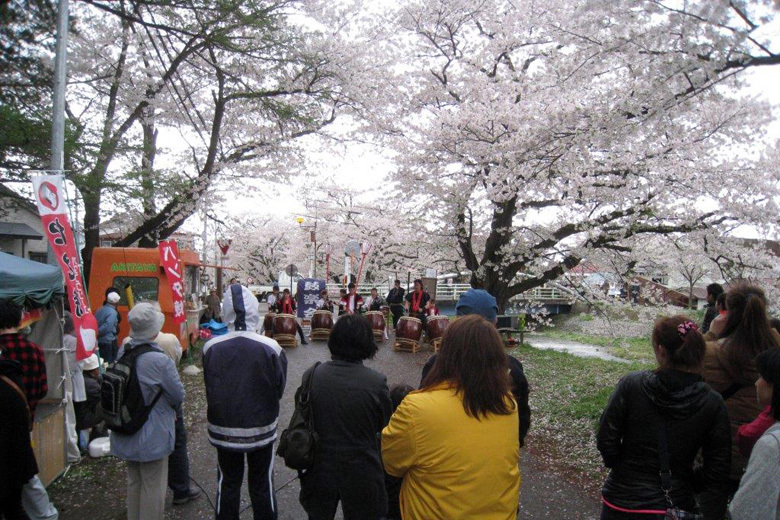 Stalls will be set up, and the sakura trees are lit up at night for night-viewing as well. 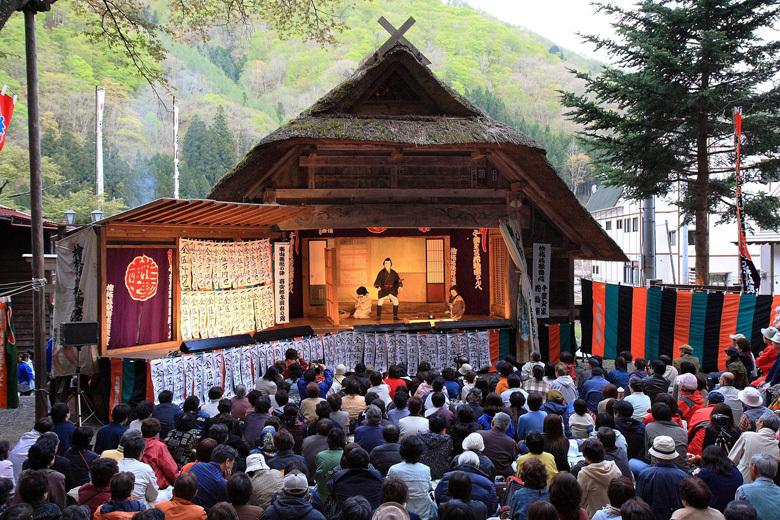 Gagaku, known as the “world’s oldest orchestra”, will be performed at the site of the Historical Enichiji Temple hall site. 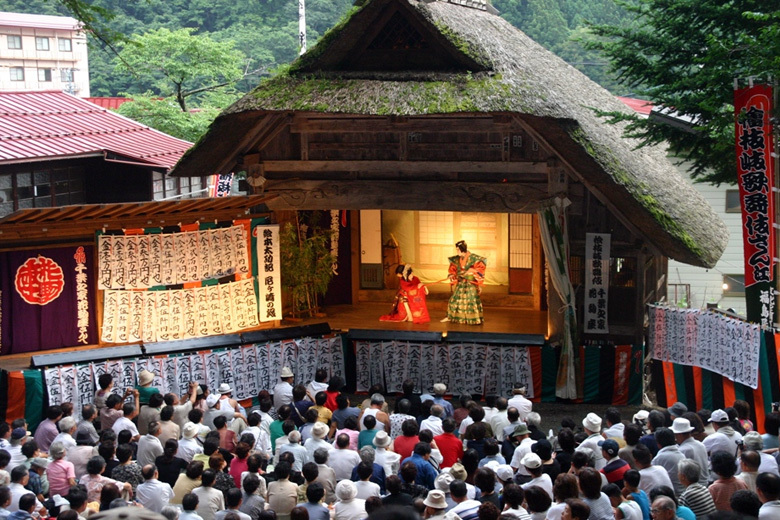 A traditional performance that has been performed since the Edo Period. The villagers perform all of the roles, from the actors to the stagehands. 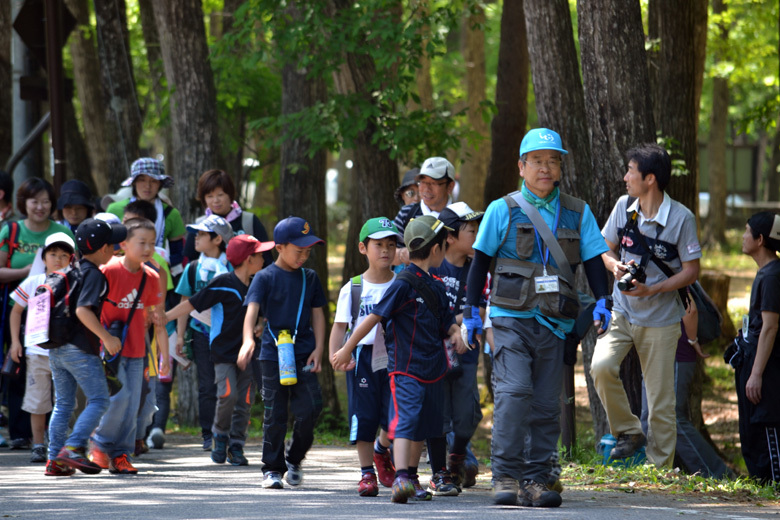 The walk starts at Yunokami Onsen Station, and finishes off at To no Hetsuri .Rare Alpine plants can also be seen. 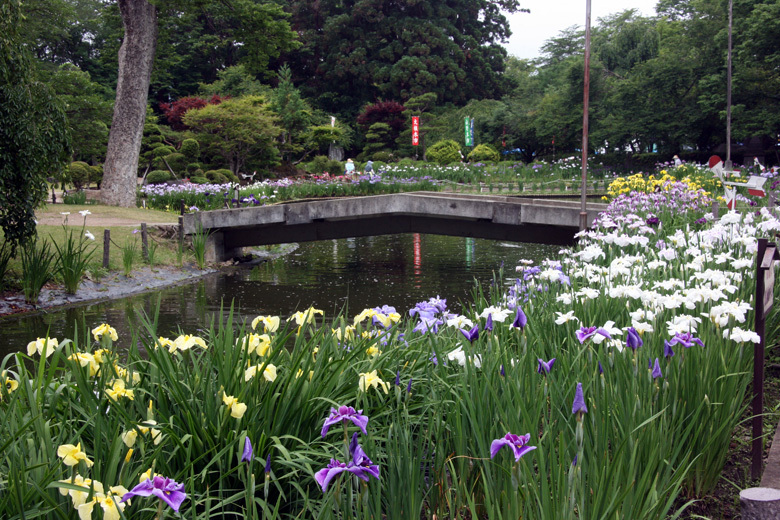 Come enjoy the variety of irises blooming throughout this Japanese-style garden. 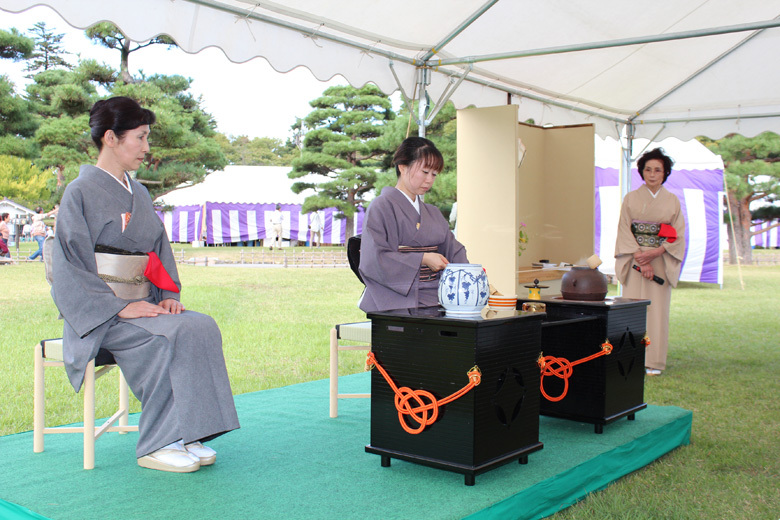 Tea ceremony and other events are held on Saturdays and Sundays. 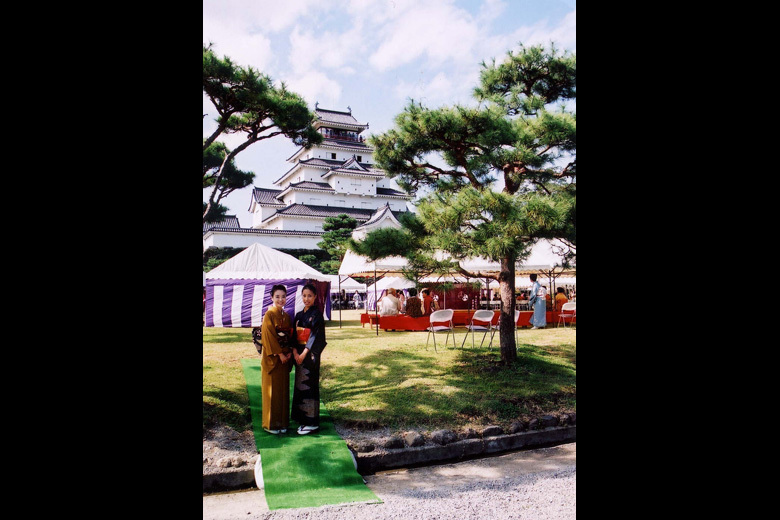 Travel back in time when you visit these streets, recreated in the spirit of Japan during the 50’s/60’s. 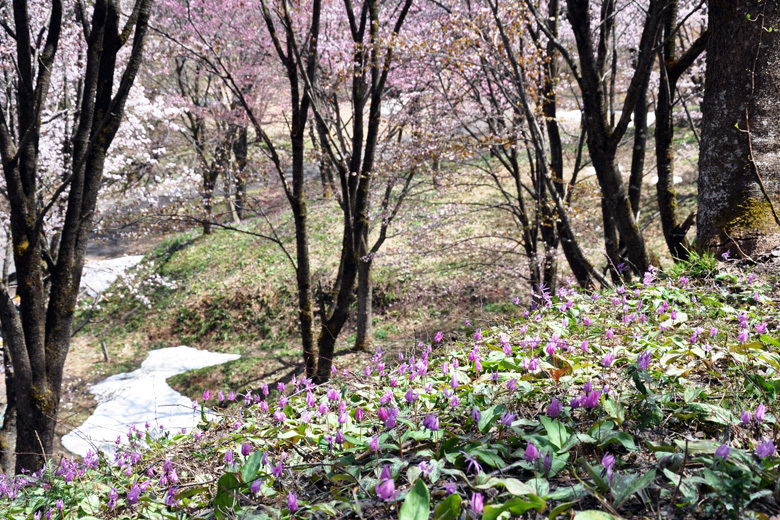 Various events will be held, including a display of ancient cloth artifacts, a demonstration of karamushi (ramie) weaving techniques, and tours of the Ramie and Baby’s Breath fields. 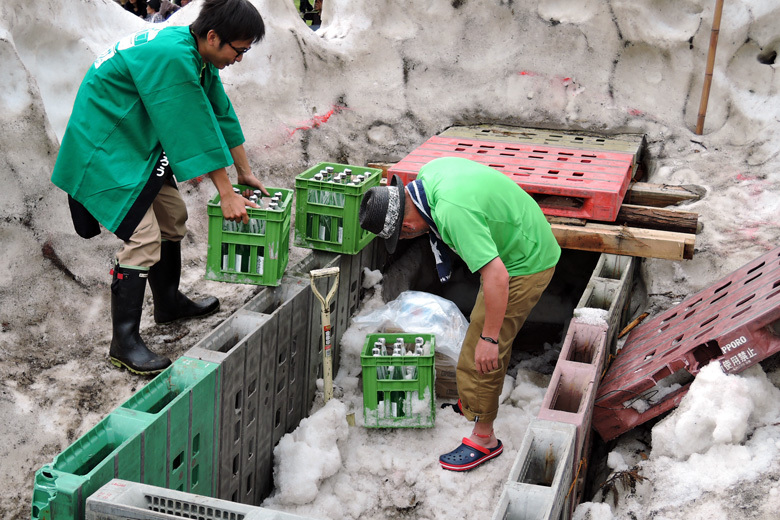 Local products including sake, doburoku (unrefined sake), vegetables, miso, and rice are stored in snow during the winter, and opened at this event. 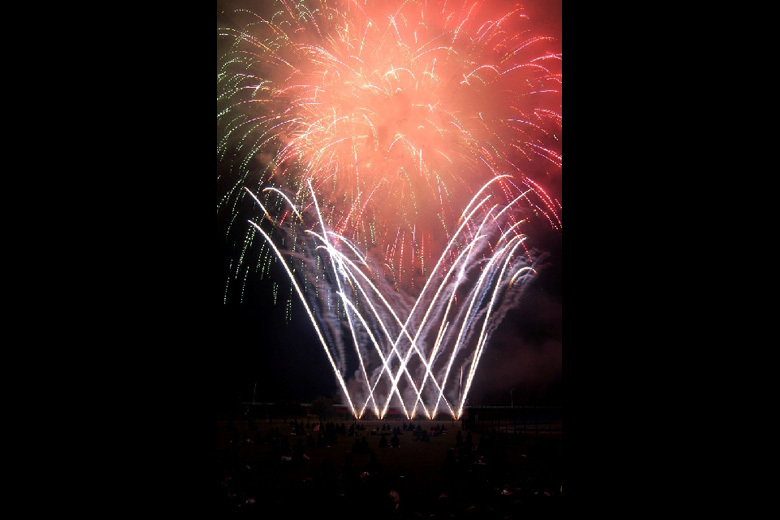 A fireworks display of about 3000 fireworks that color the night sky. A variety of events will also be held, and stalls will also be open. Women wearing wedding kimono parade through the streets. 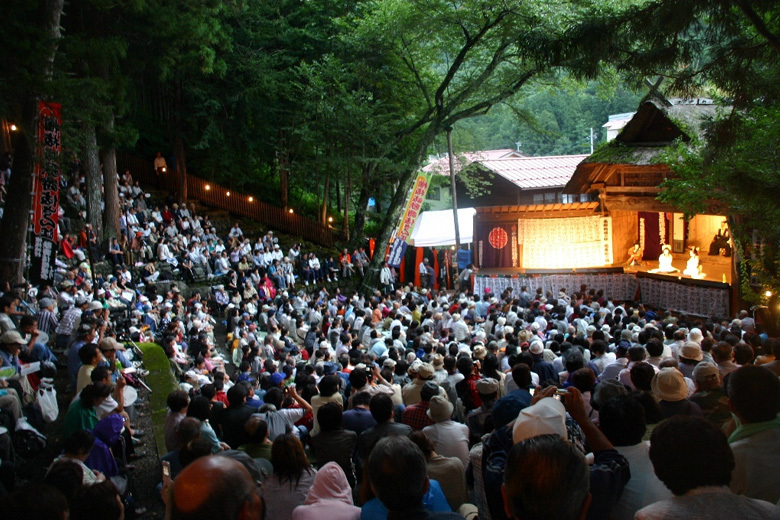 A children’s kabuki performance and other events will also be held. 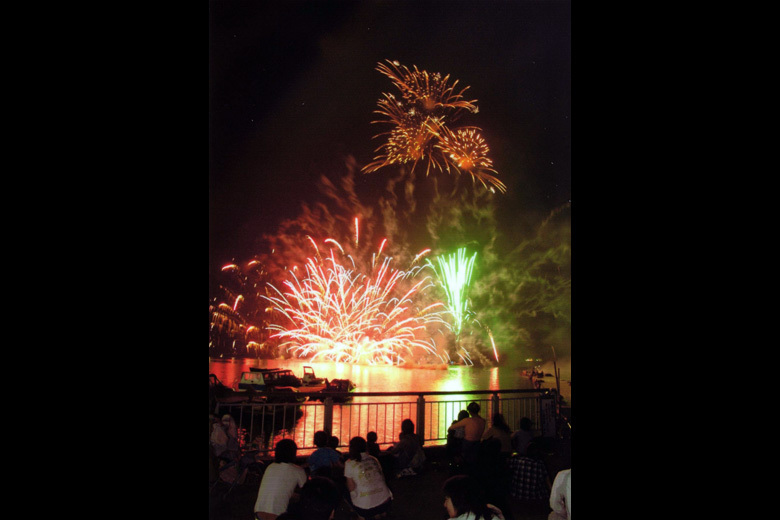 This event features fireworks accompanied by announcements, and fireworks that skim the surface of Lake Hibara. A fireworks display meant to honor the ancestors. 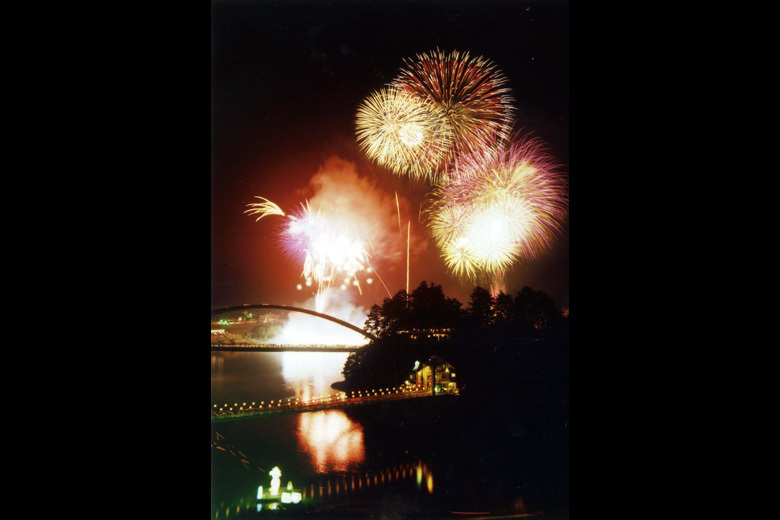 Once it gets dark, fireworks will be displayed from the shore of the Tadami River. 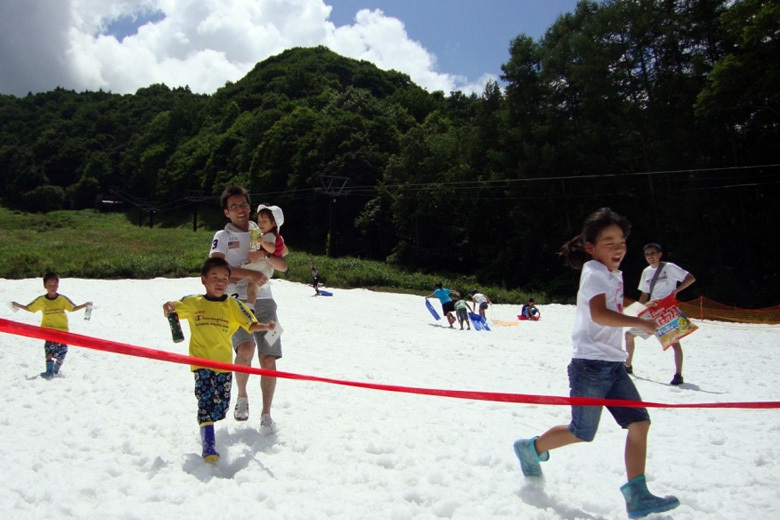 Come enjoy playing in snow during the summer. 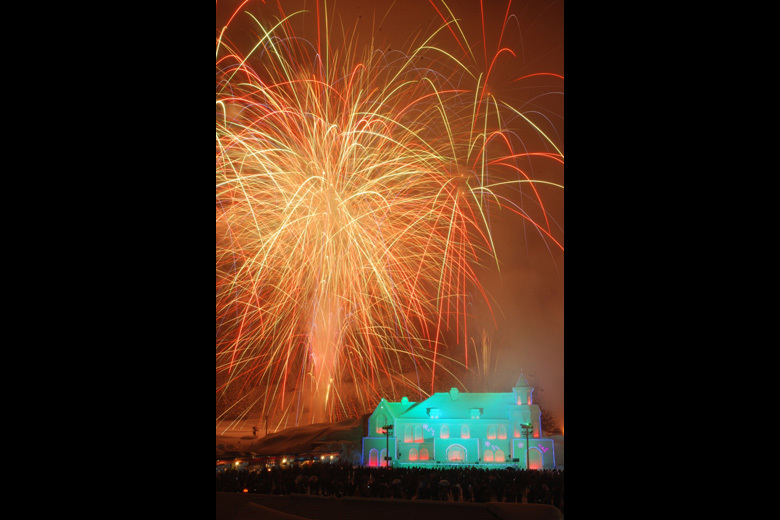 Events including snow sports, snow fireworks, and a beer garden will be held. 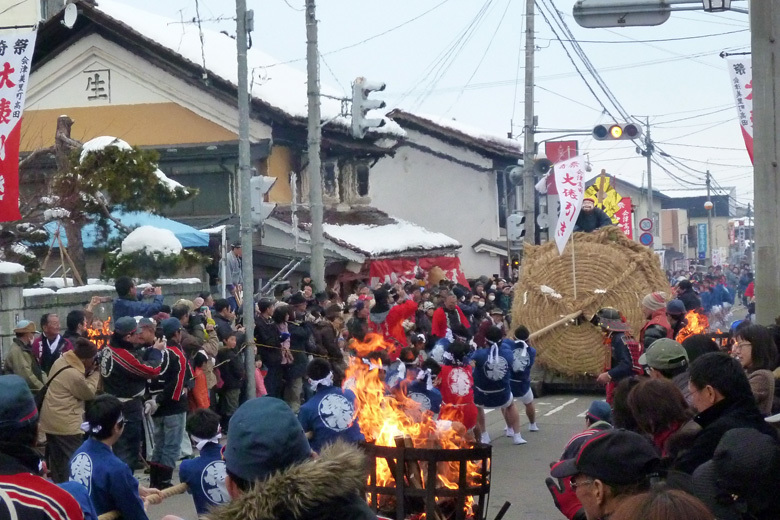 The main event in the Aizu Clan Parade. 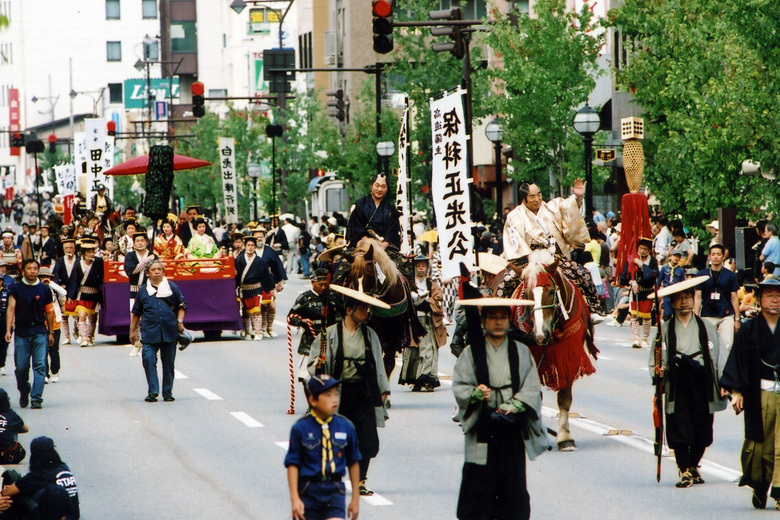 Over 600 people dressed as members of the Aizu Clan will parade through the streets. 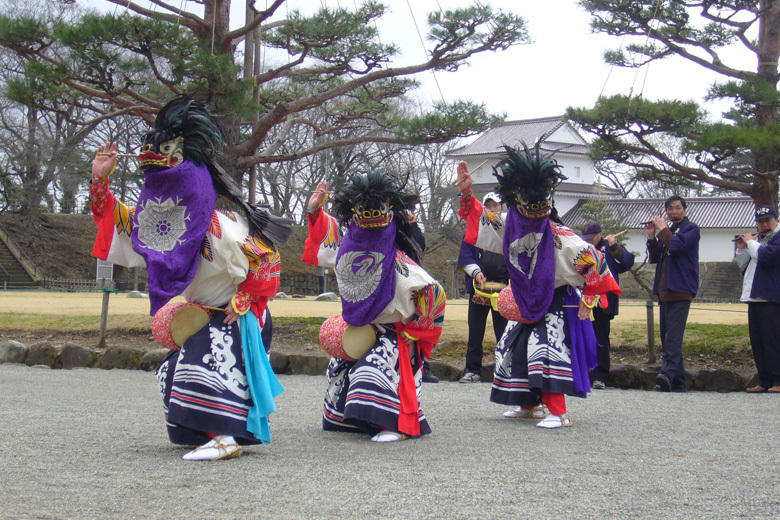 A traditional performance that has been performed since the Edo Period. The villagers perform all of the roles, from the actors to the stagehands. This performance is the last performance of the year. 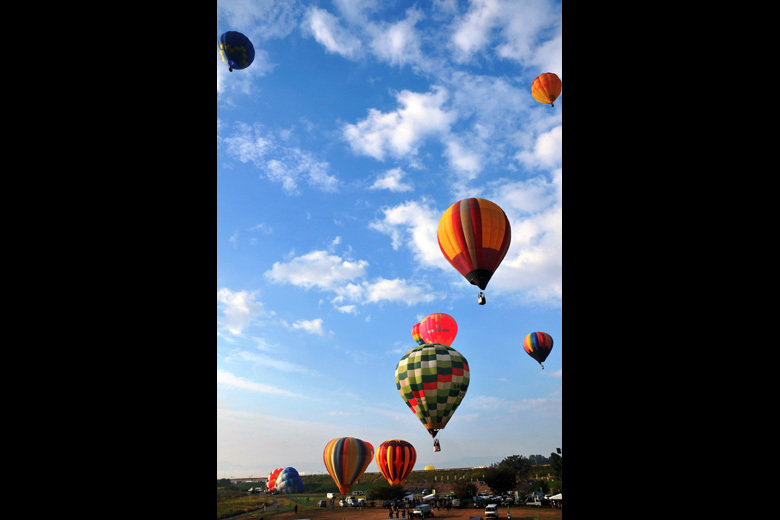 Over 30 hot air balloons from all over the country come to participate and compete in the autumn Kitakata sky. 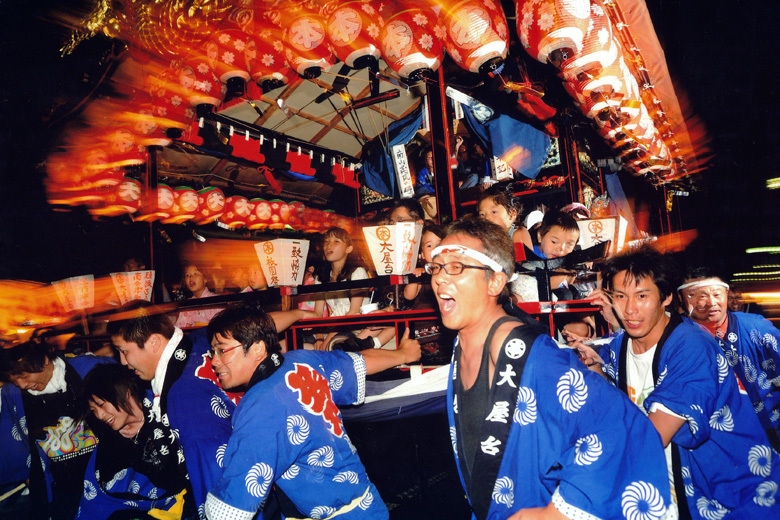 The Gottsuo festival in Oku Aizu is a feast. 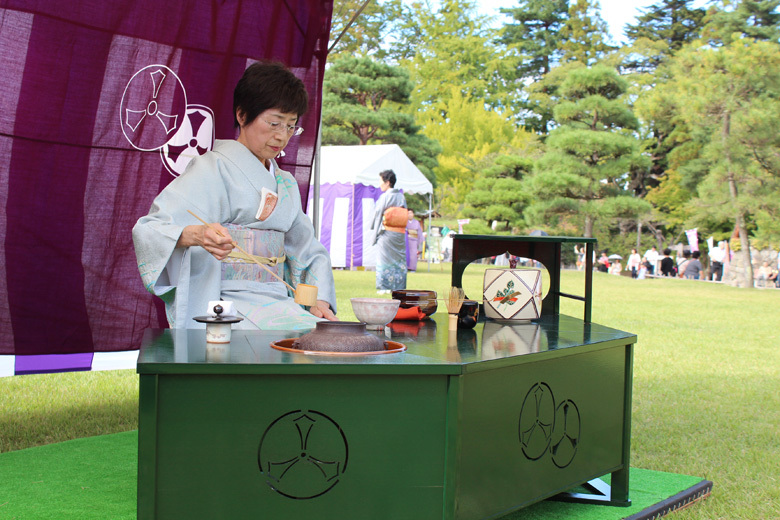 Enjoy some autumn soba, and the taste of autumn in Oku Aizu. 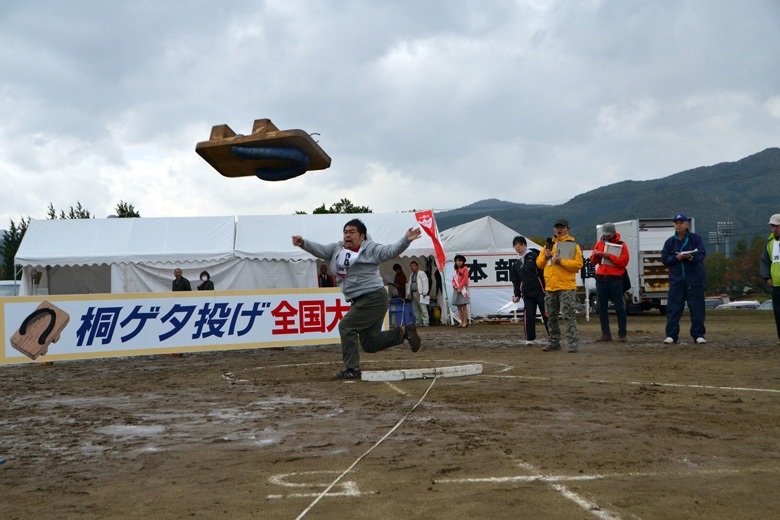 A variety of events will be held, including a national geta throwing competition, and an autumn walk. 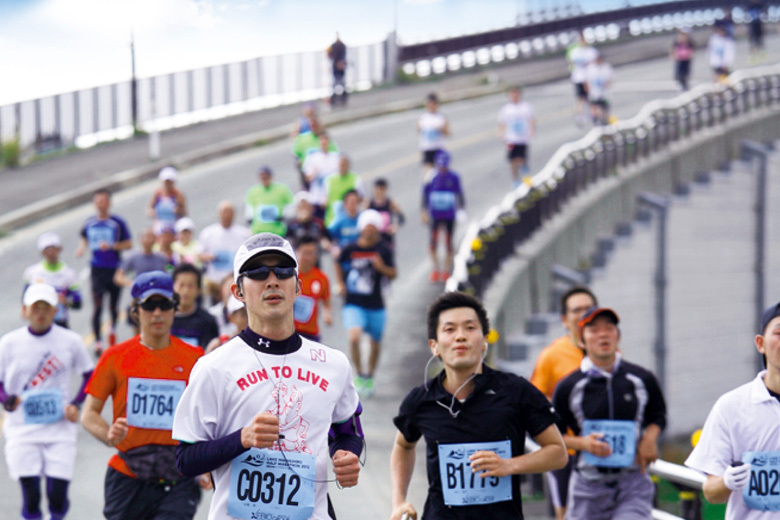 A marathon event that circles Lake Inawashiro. 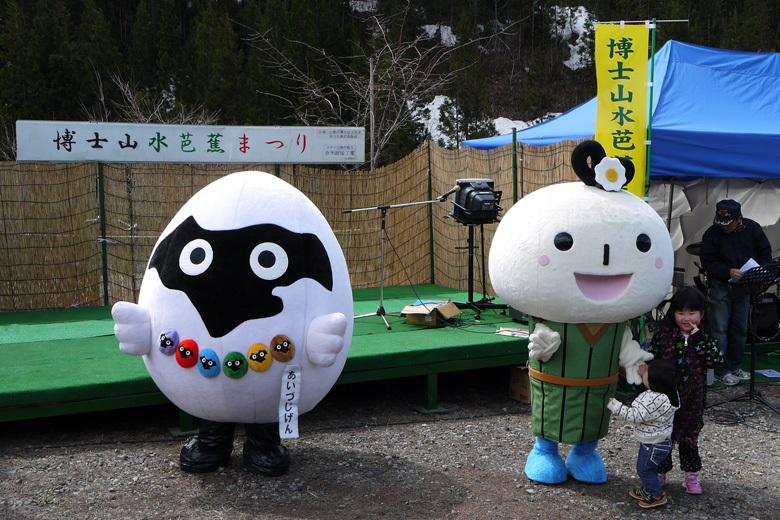 This event is held to showcase Aizu Yugawa Rice to people from other areas. 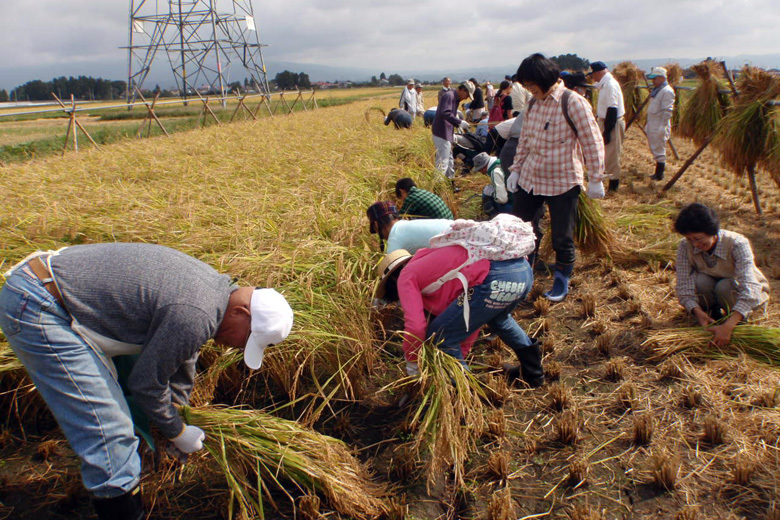 Rice harvesting and a lottery to win freshly harvested rice will be held. 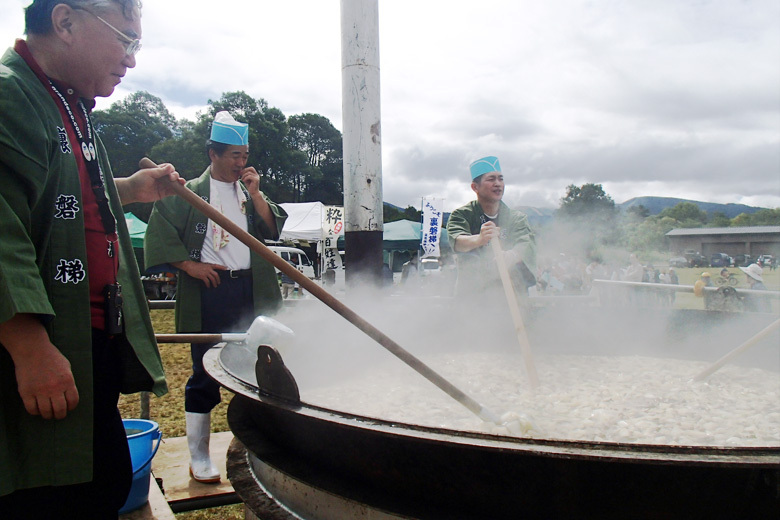 Over 3,000 servings of Mushroom Hotpot using seasonal vegetables and mushrooms harvested in Kitashiobara Village will be served. Come enjoy the delicious taste of soba made from 100% Aizubange buckwheat flour. 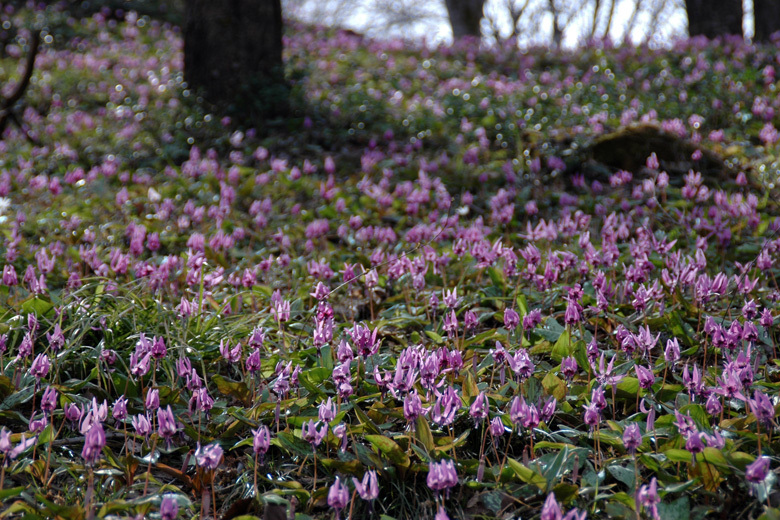 Oyakuen Medicinal Herb Garden was a favorite place of the lords of Aizu. Come spend a relaxing time viewing the colors of autumn. 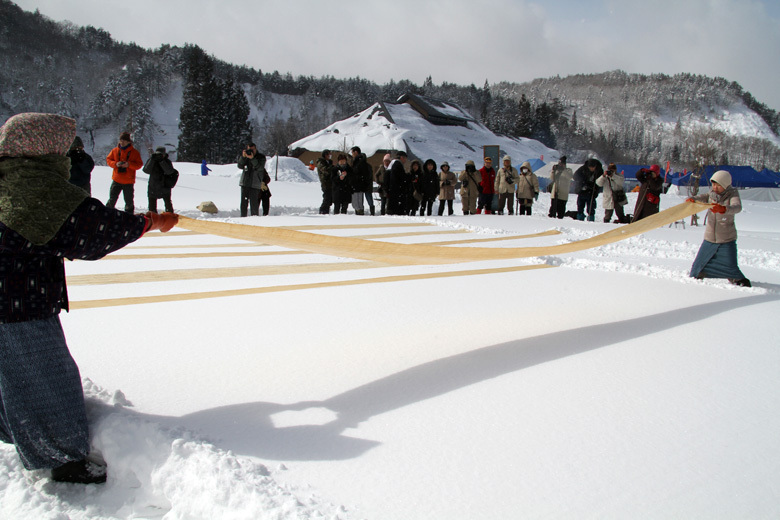 In the cold of winter, two groups are divided to the east and west, to compete in a tug of war using a bale of hay that weighs 5 tons. Who wins or loses will determined the kind of good luck for the year. A 3 ton bale of hay is fought over in a tug of war between a red and white team. Who wins and loses determines whether there will be good harvest or prosperous business in the coming year. 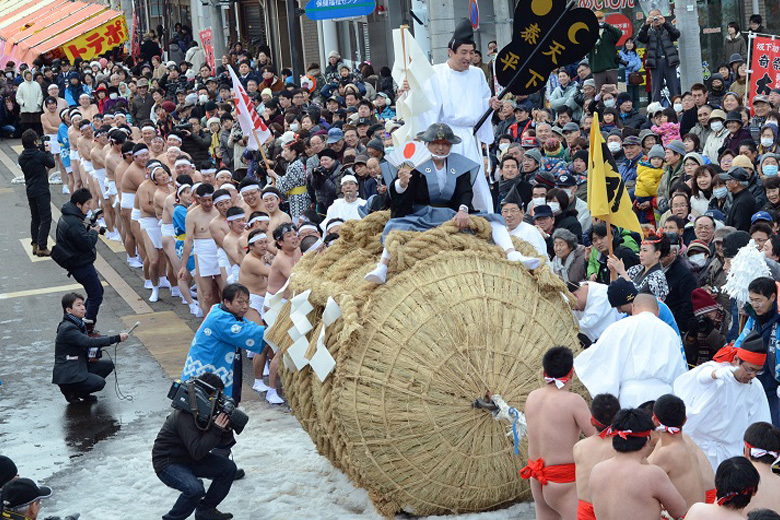 Men wearing nothing but traditional fundoshi race up 113 stone steps to be the first to climb the rope to the rafters of the temple hall, and win good fortune for the year. 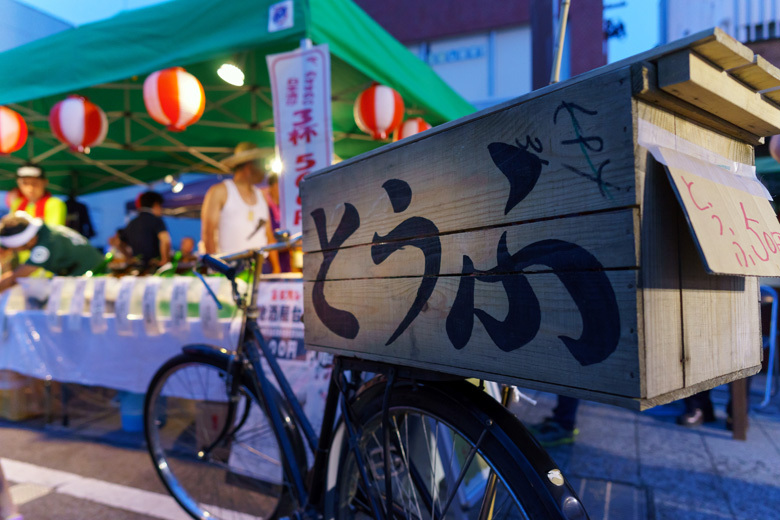 The market has a history of over 400 years in Aizuwakamatsu. 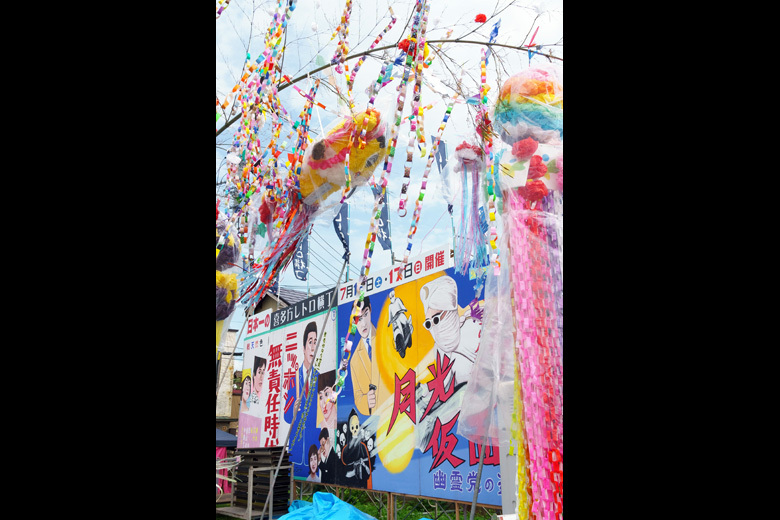 Various lucky items are for sale at stalls lining the streets, including Okiagari Koboshi figures, traditional pinwheels, candy and more. 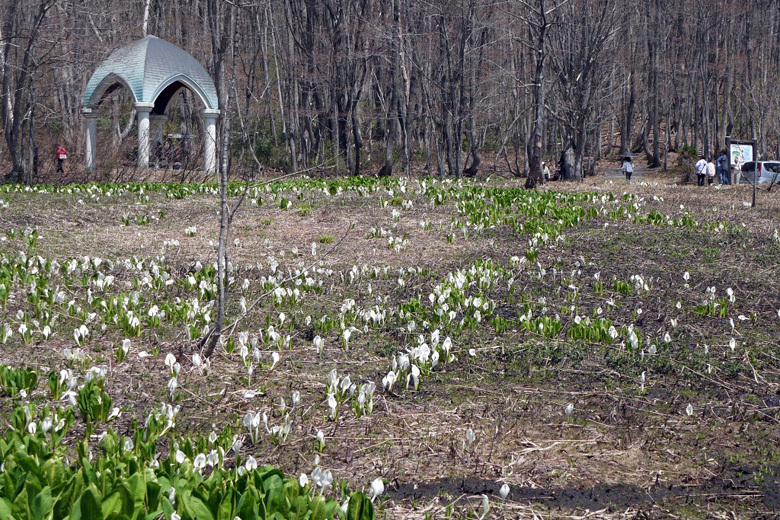 A rare opportunity to experience the tradition of “winter plant” ramie weaving in current day. 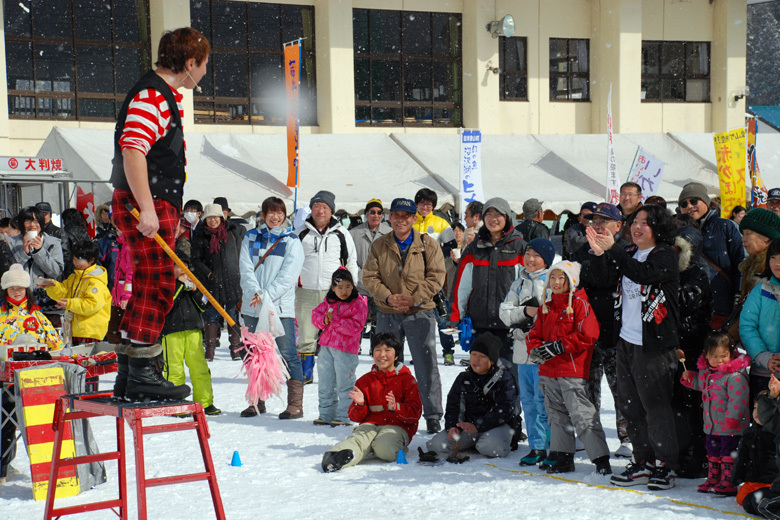 Stage shows and snow removal competitions will be held. 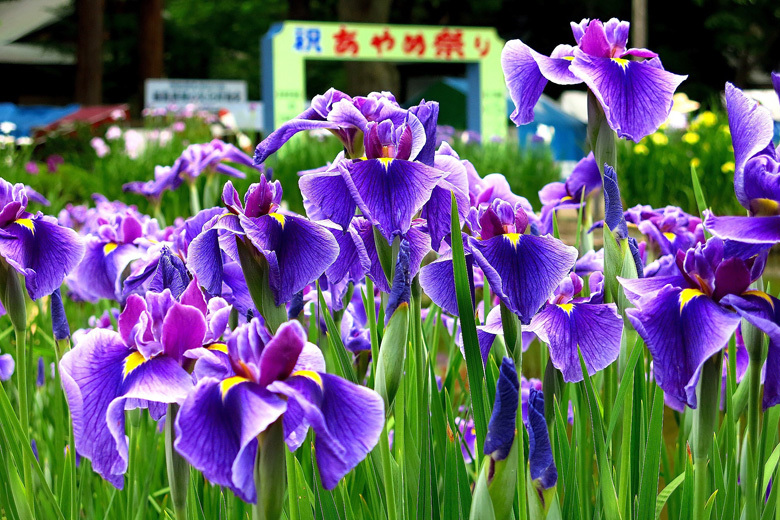 Enjoy the special products and local cuisine that are the pride of Oku Aizu. 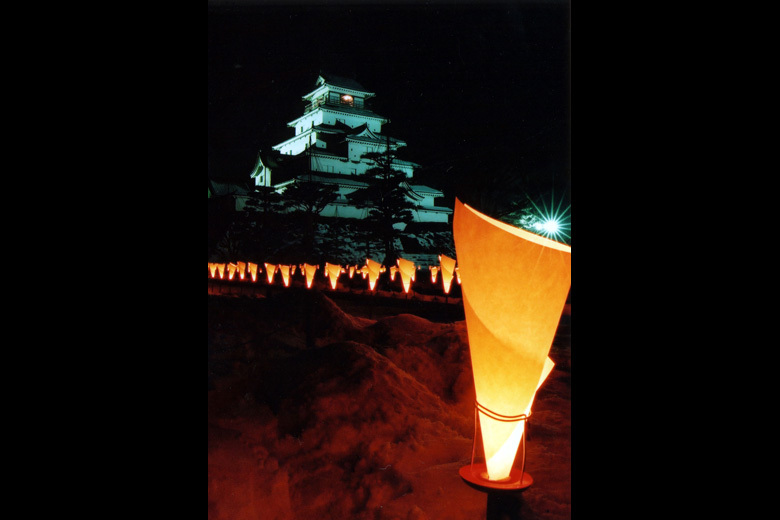 This even celebrates the erousoku painted candle, a traditional folkcraft of Aizu. Enjoy the fleeting beauty of the snowy landscape, illuminated by 10,000 candles. 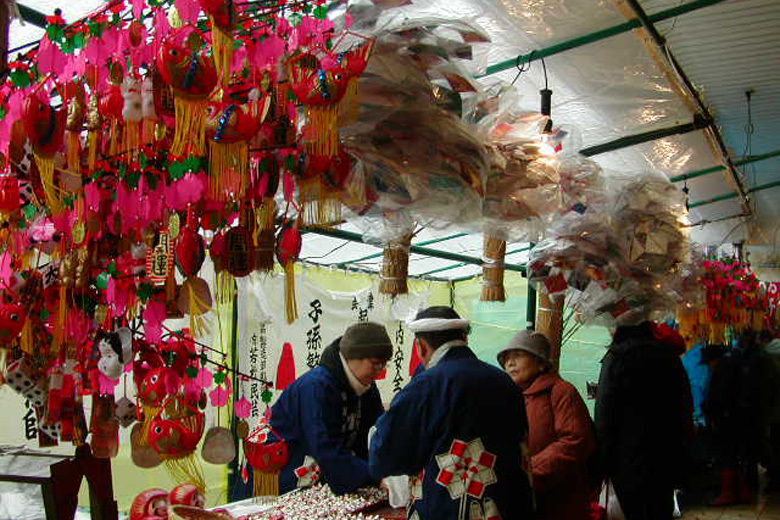 A traditional winter festival that asks for good fortune for families, health, and a bountiful harvest. 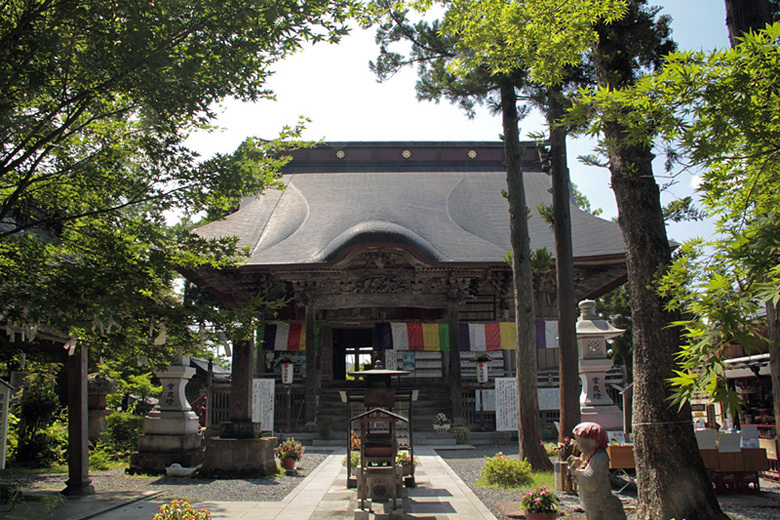 Ouchijuku is the remnants of a post town that existed in the Edo period. 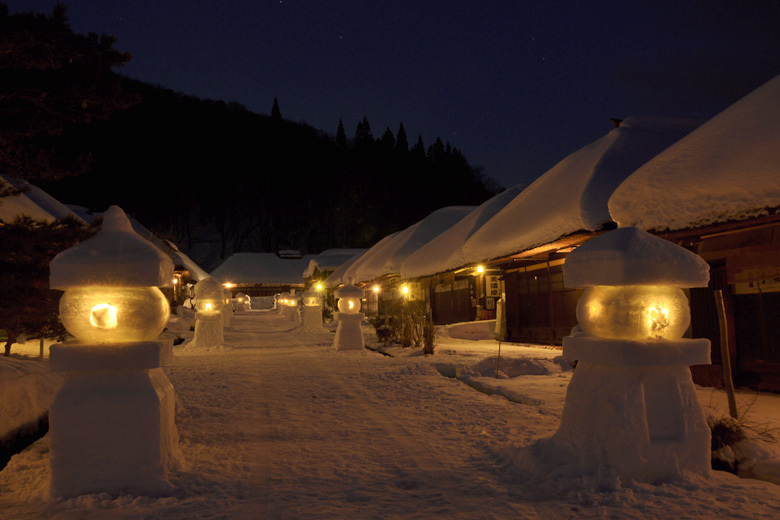 In the evening, enjoy the beauty of the lanterns that light up the pure white snow. Various large and small snow sculptures are created along the sides of the building. 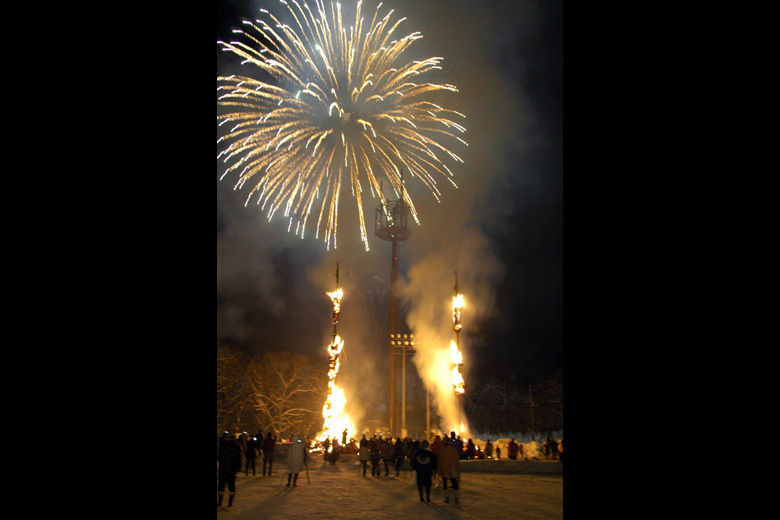 At night, the area is lit up, and fireworks fill the winter night sky.